I was asked to wear and review the new Shelby Flex-Tuff Gloves. The gloves I tested were size small and fit me appropriately. I was able to wear these gloves during both operational settings and training evolutions. 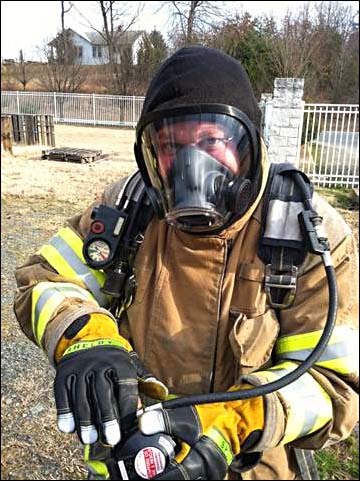 I have been using the gloves for about a month and have worn them under a number of conditions while performing a range of fire fighting skills. Overall I was very pleased with these gloves and would recommend them to anybody interested in trying something new. The dexterity that I have while using these gloves is much greater than others I have worn to include the Shelby style 5228’s that I was previously issued. The “Trigger Finger” design coupled with the separately stitched thumb allow for excellent control when dealing with fine motor operations. This was perhaps most evident in training that I was able to participate in on Mayday/RIT operations. I was able to easily feel all components of the tools I was working with which was vital as I was training in no visibility conditions. Overall the protection these gloves offer from heat seems to be top notch. 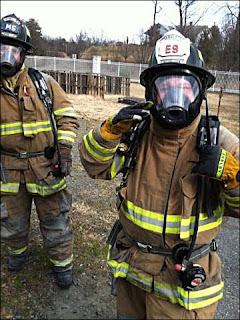 I was able to utilize these gloves on a few scenarios where there was active fire and they held up very well. I was not however able to test these gloves under extreme heat conditions such as a large structure fire and hence cannot speak for their prolonged heat resistance capabilities. With that said however, the fires I encountered did no damage to the gloves and their design remained true. Perhaps one of the most overlooked assets to a good pair of gloves is the ease of donning and doffing. These gloves were a gem. I was able to not only put the gloves on quickly but also remove them easily should the need ever arise for such an instance. This was true for both dry and wet conditions. I was most impressed by this fact when I donned the gloves when dealing with a L.P. Gas emergency. I was working under a blanket of water and my gloves got soaked. This did not affect the wearability of these gloves at all. Nor did it affect the inner liner as is commonly seen in fire gloves. An additional perk to these gloves is the leather backing. I don’t know if it was by design or not but it is very easy to clean and helps to keep toxins away from your face. This is especially true in my case as I tend to wipe my face a lot out of habit. In fact after wiping the gloves down after our L.P. Gas emergency I could not even detect an odor from the gloves. This is especially nice as nowadays we tend to face fires that involve some pretty nasty substances. For a number of reasons I have already discussed including dexterity, protection and wear, these gloves are very good. While the Flex-Tuff designed gloves do cost more, I believe that the difference in price is more than made up with the benefits of the glove. 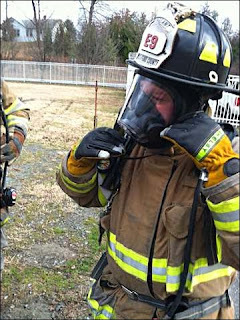 As such I would again stress my recommendation of these gloves to those looking for something more than their “normal” firefighting gloves. To buy yourself a pair of your own Shelby Flex-Tuff gloves or read up on more details, visit our website.